Cheadle Animal Welfare (Registered Charity No 1039350) is an organisation run entirely by a small group of dedicated volunteers. Our charity was set up in 1968 to take responsibility for the stray, abandoned and unwanted dogs and cats within Cheadle and the Staffordshire Moorlands area. Where possible, we also provide help for animals that have become homeless due to death or illness in families. The Society ensures that each animal coming into its care receives any required veterinary treatment and it pledges that no healthy animal is destroyed. Unfortunately, we don’t have our own facilities so all of our animals are boarded at private kennels and catteries or in temporary foster care until a new home can be found. We are always looking to recruit new volunteer foster carers willing to take our animals into their homes. For more info on how to become a foster carer, please visit our rehoming section. 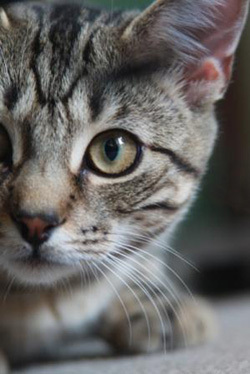 We generally rehome our animals within the Staffordshire Moorlands and surrounding areas. However, we may consider rehoming out of this area for the right home. All potential homes will require a home check and vet references. Taking on a new pet is a big commitment so be sure to look at the points to consider page. Cheadle Animal Welfare receives no government funding and relies solely on donations from the public, our supporters and local businesses as well as holding fundraising events throughout the year. If you would like to help us raise much needed funds, please visit the donate and help us pages. We truly value the support of the many people who help us fund and care for the animals. Without their practical help and generosity the Society could not continue to make life easier for the cats and dogs that truly need our help. Please have a look around the website – your new companion could be just a few clicks away! Please note that we are not full time paid employees but volunteers responding as quickly as we can in our free time.